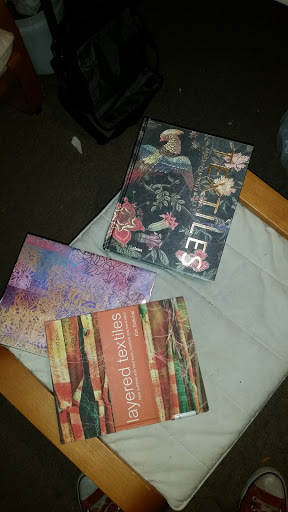 I'm teaching a class next week, and want to be up to date on some of the latest textile techniques. I'll also be doing some writing to explain how I think about design. Some of these excercises may work their way to the blog. (Or, they may not) Today and tomorrow will be a lot of cleaning and tidying of the studio so that I have space to think, and spread out.